Luckily, he was conscious when he was transported to the hospital. 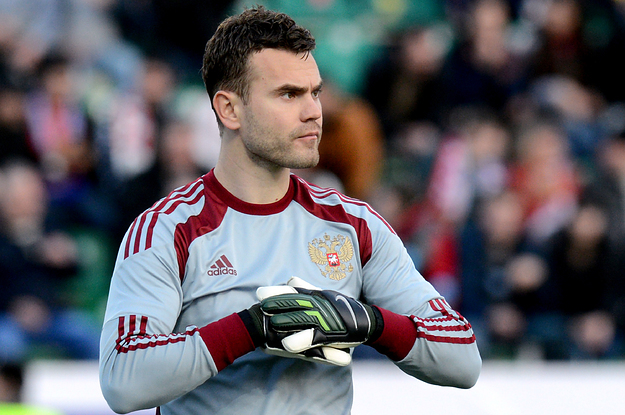 Immediately after kickoff in a Russia–Montenegro match, Russian goalkeeper Igor Akinfee was hit in the head by a flare tossed from the stands. The Guardian reports Akinfee was conscious when he was taken to the hospital. The match resumed after a 35 minute delay. Yury Lodygin was subbed in for Akinfee.